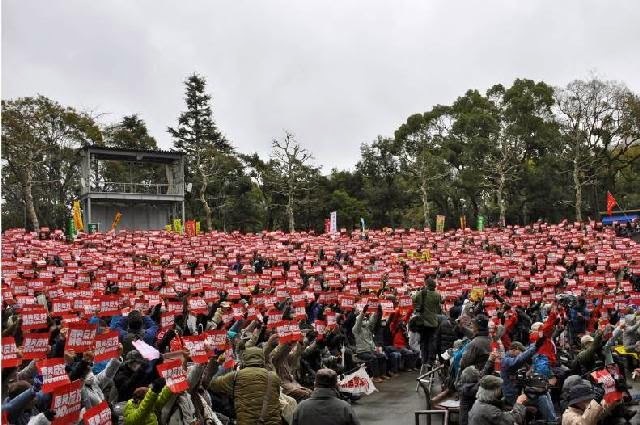 People protested at TEPCO and at the prime minister’s office on March 11, the fourth anniversary of the Fukushima nuclear explosion. Some participants were from as far as Sapporo, while others came from Ibaraki. 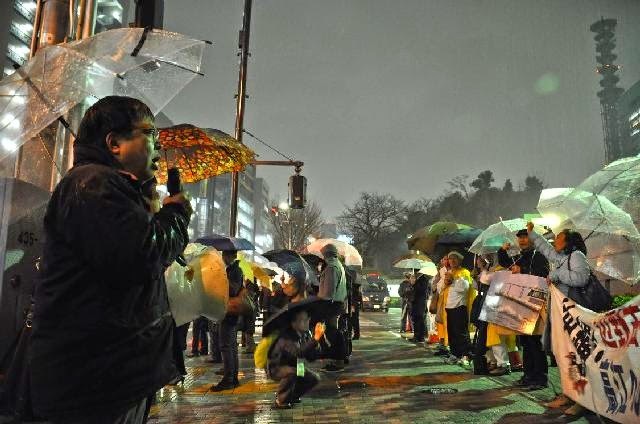 Delayed by the snow, Masumi KOWATA from Fukushima Women Against Nukes joined the action after a meeting in Fukushima. 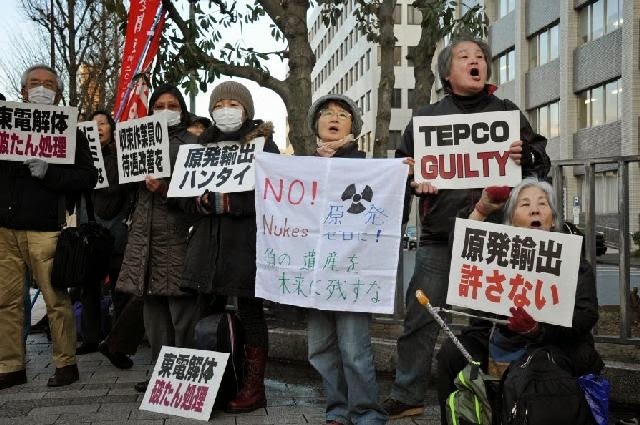 The protesters handed written petitions addressed to Prime Minister Shinzo ABE and to TEPCO workers. No one was willing to take it, while the only ones who took them turned out a worker at the Cabinet Office, and a guard (!) at TEPCO.